Advent Day 20 :: hang a wreath, originally uploaded by earthchick. Little Buddha had been begging for a real wreath this year (as opposed to the cranberry-ish one I have on our door all year round). 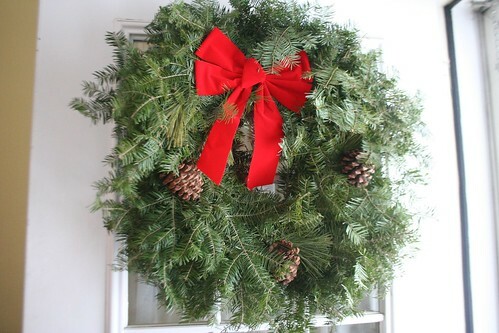 It’s been years since I’ve had an evergreen wreath. I was surprised to find the best deal around here at Whole Foods ($12).